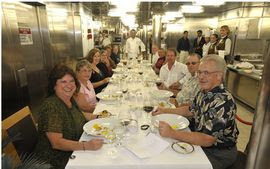 One of the popular activities while onboard a cruise ship is participating in the galley tour. Even if you aren't much of a cook at home, and don't really get excited seeing stoves and other cooking gadgets, it is still amazing to see the quantity of equipment and staff required to keep the passengers and crew fed during the voyage. Carnival Cruise Line has taken the galley tour to a new level, introducing the "Chef's Table", as a pilot program last year, onboard Carnival Dream and Carnival Ecstasy. 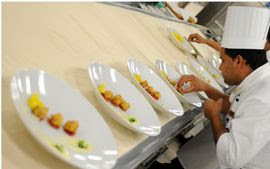 The program is a one-of-a-kind culinary experience which includes an exquisite multi-course dinner hosted by one of the line’s master chefs along with a private cocktail reception and a personalized tour of the galley. This year the program is being rolled out to six more ships. The Chef's Table experience, which is limited to a select group of 12 guests, begins with cocktails and hors d’ouevres hosted by the ship’s chef de cuisine. The chef then takes the group on a personalized tour to see the galley in operation, providing participants with a unique perspective on Carnival’s extensive food and beverage operations. A traditional galley tour typically occurs when there isn't much activity in the galley and with much larger groups of passengers. The evening concludes with a sumptuous full-service dinner with delicious appetizers, entrees and desserts created by the line’s master chefs. Depending on the vessel, the meal takes place in non-traditional dining venues throughout the ship – the galley, library, conference center, etc. The Chef’s Table program is being rolled out to the following six ships over the next several weeks: Carnival Liberty, Carnival Sensation, Carnival Imagination, Carnival Inspiration, Carnival Pride and Carnival Fascination. The program can be booked on board through the ships’ guest information desk. The cost is $75 per person. Carnival Cruise Lines, the world’s largest cruise operator, has partnered with St. Jude Children’s Research Hospital to launch a comprehensive fund-raising initiative with a goal of raising $3 million for the organization over the next three years. St. Jude is one of the world’s premier centers for the research and treatment of pediatric cancer and other catastrophic diseases. The program, called Care to Play: Carnival For St. Jude Kids, kicks off the week of March 28 aboard all 22 Carnival ships and provides guests an opportunity to participate in fun, interactive activities designed to raise funds and awareness in the fight against childhood cancer. Care to Play activities include the “Groove for St. Jude,” a fun dance activity held once each cruise that allows guests to make a $10 donation and “groove to the music” in one of the ship’s high-energy dance clubs with sounds provided by the ship’s DJ. Guests receive a Care to Play T-shirt and wristband and 100 percent of their donation goes directly to St. Jude. Another component is Carnival’s Teddy Bear Workshop in which children from the line’s Camp Carnival program can build their own cuddly St. Jude keepsake bear. To show their support, kids can also customize their bear with doctor’s apparel, including scrubs, surgical mask, and a lab coat. One hundred percent of profits, after all related expenses, benefit St. Jude Children’s Research Hospital. Additionally, copies of the “The Dream Plucker of Perrysport,” a highly imaginative children’s book based on creative stories and illustrations submitted by Camp Carnival participants, will be sold in the shipboard Camp Carnival facilities for $5.95. One hundred percent of the purchase price of this item will be donated to St. Jude Children’s Research Hospital. Several hundred copies of the book have also been donated to the hospital. A number of other fun and exciting activities are planned for the future and will be announced at a later date. Just in time for Opening Day, Carnival will be auctioning off the baseball bat signed by All-Star third baseman Alex Rodriguez of the World Champion New York Yankees that was used in the Carnival Dream’s naming ceremony in New York. Those interested in bidding on this one-of-a-kind commemorative item can visit www.carnival.com/stjude, a special Web site that highlights the Carnival-St. Jude partnership. One hundred percent of the auction proceeds will benefit St. Jude Children’s Research Hospital. The site also includes a two-minute video on Carnival-St. Jude initiatives, a listing of the line’s yearly progress toward its fundraising goal, and a link to St. Jude’s Web site where visitors can donate directly to the organization. “Carnival Cruise Lines is pleased to launch the Care to Play initiative which provides our guests with a number of wonderful and memorable ways to help some very special children,” said Gerry Cahill, Carnival’s president and CEO. “With a goal of $3 million, these fundraising opportunities will enable our guests to assist St. Jude Children’s Research Hospital in their groundbreaking efforts in the fight against childhood cancer,” he added. We applaud Carnival for partnering with such a worthy cause. Carnival makes it fun to help in the fight against cancer in children. Please support the St. Jude Kids the next time you cruise on Carnival. Cunard Line's Queen Mary 2 made her maiden call to Cape Town, South Africa, March 25th arriving with some special dignitaries onboard. Among the guests sailing on this segment of the 2010 World Voyage was the Most Reverend Archbishop Emeritus Desmond Tutu, winner of the Nobel Peace Prize, the Albert Schweitzer Prize for Humanitarianism, the Gandhi Peace Prize and the Presidential Medal of Freedom. Upon arrival in Cape Town, a ceremony was held unveiling a plaque that read: “This plaque was unveiled by Archbishop Emeritus Desmond Tutu to commemorate his voyage onboard Queen Mary 2 between Port Louis and Cape Town from 20 March to 25 March 2010.” Also on-hand for the unveiling was Captain Nick Bates and Cunard Line President Peter Shanks. During the voyage, guests enjoyed a standing room only Cunard Insights Q&A session and lecture with Archbishop Tutu. Additionally, guests had the opportunity to participate in a silent auction and bid on advanced copies of Archbishop Tutu’s new book, “Made for Goodness,” co-written by his daughter Mpho Andrea Tutu. Proceeds from the silent auction benefited his charity, the Zithulele Hospital based in Eastern Cape province. “It was an honor to have Archbishop Tutu onboard Queen Mary 2 during this World Voyage, especially as the ship sailed into Cape Town for the first time,” said Peter Shanks. “Our guests were thrilled to have the opportunity to meet this living luminary, and I am delighted to say that he now holds a very special place in Cunard's 170-year history." Archbishop Tutu joins Cunard's illustrious legacy of welcoming world-famous guests and politicians, including Winston Churchill, President Nelson Mandela, Lady Margaret Thatcher, Elizabeth Taylor, James Taylor, Carly Simon, Rod Stewart and Buzz Aldrin. Cunard Insights is the company’s award-winning onboard enrichment programme that introduces guests to stimulating experts and accomplished visionaries who reflect the Line's heritage of adventure and prestige. Through a series of lectures, Q&A's, social gatherings and workshops, guests connect with personalities who have achieved notable distinction in areas including history, world affairs, science, arts and literature. 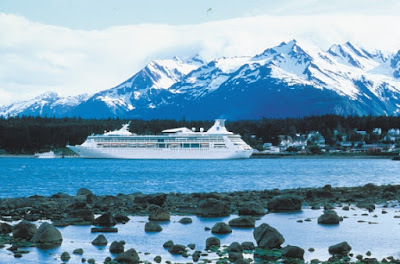 What do you want to do on your Alaska Cruise & Land Vacation? How about taking a ride on a dog cart? Compare the picture to the left with the picture of Star Princess above. Do you notice any similarities? I did. The design of both are tapered at one end and wider at the opposite end. The major difference is one travels on water while the other is designed to travel over snow. Well, snow is just frozen water, so they really are a lot alike after all. So, if taking a ride on a dog cart is something you want to do, then let me tell you how you might do that on a Princess Cruisetour. Princess Cruises has announced nine additional Optional Land Excursions that passengers can add to their Princess Alaska Cruisetour vacation. Options include discovering how local hunters and trappers live, exploring by ATV, riding a dog cart, visiting a true Eskimo village or learning to cook Alaska cuisine. 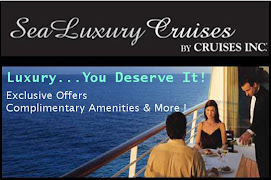 In all, there are 96 tour choices that cruisetour travelers can add to the land portion of their trip. These activities are currently open for purchase and offer a range of experiences from easygoing to exhilarating -- including cultural tours, nature hikes, kayak adventures and flightseeing tours. Cruisetour passengers can get additional information about the land excursions from a new section on Princess' web site, offering full details on the program and tour listings. Your cruise specialist can also offer assistance in planning these optional excursions. Land excursions operate from each of Princess' own wilderness lodges -- Denali Princess Wilderness Lodge, Mt. McKinley Princess Wilderness Lodge, Kenai Princess Wilderness Lodge, Copper River Princess Wilderness Lodge and Fairbanks Princess Riverside Lodge -- as well as from additional locations featured on some cruisetours, such as Anchorage and Coldfoot (for Arctic Explorer cruisetours). For many people an Alaska vacation is a once-in-a-lifetime adventure. My advice to travelers is to include both land and sea exploration into your plans. With these new optional land excursions, Princess Cruises allows a new level of personalization not offered by other cruise providers. Wilderness Living Adventure & Dog Cart Ride (Denali) -- How did the hunters, trappers and woodsmen of old travel and live in the wilderness of Alaska? This tour provides a look at many Alaskans who make their living in the wilderness near Denali. The hosts share stories about their lives, particularly what winters are like in Denali. A dog cart ride takes travelers down a rustic trail for a taste of sledding and possible views of Mt. McKinley. Anaktuvuk Pass Adventure (Coldfoot) -- Guests can visit a true Eskimo village with this tour to the Nunamiut village of Anaktuvuk Pass. Travelers fly northwest from Coldfoot to Anaktuvuk Pass, nestled in the heart of the majestic Brooks Mountain Range and the Gates of the Arctic National Park. Once in the village, guests will get a first-hand look at life in Anaktuvuk Pass as it exists today. A Taste of Fairbanks -- An evening at Chez World Cooking School will show travelers how to prepare food the Alaskan way. Whether they fully experience the class with hands-on participation or simply watch the overhead monitors, students will learn the secrets behind Alaskan delicacies such as salmon, reindeer sausage, halibut, crab, moose, and caribou, as well sourdough bread and pancakes. Students will get to taste the entrees of the day plus take home recipes and a chef's apron. Susitna River Airboat Adventure (Mt. McKinley) -- Travelers can experience parts of the lovely Susitna River that others can't with this airboat excursion. Piloted by a captain who knows the waters well, the airboat can navigate through narrow channels, moving through inches of water and in some cases no water at all. Participants will enjoy the beauty of the Susitna while looking for wildlife and their tracks, and can even bring home a souvenir animal track casting. On clear days, they can also marvel at spectacular views of Mt. McKinley. Sea Kayaking at Columbia Glacier (Copper River) -- This opportunity to paddle into the massive Columbia Glacier icefield offers an experience that travelers will never forget. From Valdez participants take a scenic ride to Columbia Glacier for a kayaking expedition up close to the glacier, plus lunch on the beach. The excursion could also result in sightings of wildlife such as seals, sea otters, bald eagles, sea lions, whales and bears. Chatanika Gold Camp & ATV Ride with Dinner (Fairbanks) -- The early miners never traveled like this! Following a hearty dinner at Chatanika Gold Camp, travelers take a 2.5 hour ATV ride along a mining trail used by early miners to access the surrounding gold fields. The approximately 15-mile route follows a ridge line and offers beautiful views of the distant mountains and valleys. Explore Historic Seward (Kenai) -- From Kenai, travelers can enjoy a drive down one of the nation's most scenic highways and past parts of the Iditarod National Historic Trail. At the end of the road at Resurrection Bay is the historic city of Seward, gateway to Kenai Fjords National Park. Travelers will have plenty of time to see the town, visit local attractions or browse the quaint shops and art galleries. South Denali 65-Mile ATV Adventure (Mt. McKinley) -- An ATV adventure along dirt roads carved out of the wilderness by the area's first prospectors, this tour takes travelers far into the back-country of south Denali with its cascading waterfalls and scenic wonders. Participants can also try their hand at panning for gold in Peters Creek. Scenic Koyukuk River Float (Coldfoot) -- It's not too often that travelers can enjoy a scenic float trip 60 miles north of the Arctic Circle! This tour takes passengers down the Middle Fork Koyukuk River through the Brooks Mountain Range, where they can relax as their raft floats through the vast wilderness of Alaska and a guide shares the rich history of the region. Welcome to the Last Frontier of Alaska - you are in for an adventure of a lifetime. Just about a month ago, we were reporting in our article, Powerful Quake Hits Chile Tsunami Alert, that following the devastating earthquake in Chile, there was eminent danger, across the globe, of a Tsunami that formed in the wake of that quake. Less than six months ago another tsunami hit American Samoa. Unfortunately both events resulted in loss of life and property. The National Weather Service and the National Tsunami Hazard Mitigation Program have created a TsunamiReady™ website and launched an awareness program. To kick off this new initiative, the NWS announced the first ever Tsunami Awareness Week which is currently in progress. As part of tsunami awareness week, NOAA’s National Weather Service will host open houses at its tsunami warning centers in Alaska and Hawaii, and many coastal states will host community tsunami awareness activities. Click on the Weather tab above for more information about the following topics: Hurricanes, Typhoons, Tsunamis, Tides & Currents. 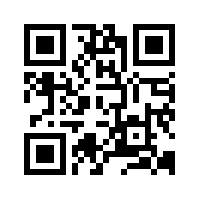 When breaking weather news occurs, the links provided there can be used to obtain up to the minute information. We encourage you to learn more about Tsunamis and their dangers, especially if you live or visit coastal areas where the danger could exist. See if your community is TsunamiReady™. 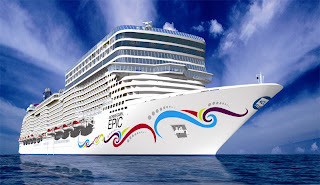 Norwegian Cruise Line announced that the brand new Norwegian Epic, which starts sailing this summer, will have the largest spa facility and fitness center at sea, totaling more than 31,000 square feet. Mandara Spa will feature 24 treatment rooms, two private couple's villas, two exotic steam Rasul rooms, a DIY Scrub Experience, Hydrotherapy Courtyard & Thermal Suite, full-service salon, fitness center and barber shop. Norwegian Epic also features 39 spa suites, 8 with in-room whirlpools, which are accessed via private key-card and offer complimentary access to the enclave surrounding Norwegian Epic's luxurious Hydrotherapy Courtyard & Thermal Suite and state-of-the-art fitness center. These deluxe balcony and balcony staterooms offer the ultimate spa experience for those guests that wish to take relaxation to a higher level at sea. The spa features more than 50 treatments for both men and women including Elemis facials, massages, body therapies, bliss® face and body treatments, and acupuncture along with cosmetic medical treatments performed by a licensed doctor. The salon features hair, nail and waxing services. In addition, kids and teens can choose from a selection of kid-friendly spa services. Among the two dozen treatment rooms are two new couple's villas for the ultimate in togetherness massages with the opportunity to soak in a private, outdoor whirlpool. Two solo villas also have outdoor whirlpools, and six treatment rooms have balconies with chaise lounges where guests can relax privately outdoors before or after their treatment. Norwegian Epic's adults-only Hydrotherapy Courtyard & Thermal Suite features separate men's and women's areas equipped with sauna, aromatherapy steam, experience showers and heated ceramic loungers. In addition, the Hydrotherapy Courtyard & Thermal Suite features a tropical garden communal setting, chaise lounge seating, a pool with massaging jets and waterfalls, a whirlpool and an outdoor relaxation deck. Looking for a unique spa experience? Try one or more of the new spa treatments and services that will be introduced on board Norwegian Epic, such as the signature Epic 24 Karat Gold Facial. This luxurious facial includes a blend of medicinal plants, rose quartz and a pure 24 karat gold leaf mask that brings about miraculous results speeding up cell renewal while evoking a brighter and more clarified skin texture and complexion. 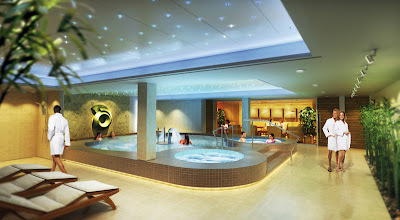 Norwegian Epic will also feature two bliss® services: the bliss® triple oxygen treatment and the bliss® fatgirlslim. The bliss® triple oxygen treatment is an all-around complexion reviver that includes a cleansing and exfoliating fruit acid wash, an oxygen wrap, a calming oxygen and milk mask, a hydrating enzyme pack and a vitaminized oxygen spray. The bliss® fatgirlslim is a detoxifying, circulation-stimulating, body-toning treatment that includes dry brushing, a firming grapefruit essential oil, a trouble-spot-targeting seaweed mask, a heated wrap and a rubdown. Norwegian Epic will also offer three new massages: the Thai Herbal Poultice Massage, the Bamboo Massage and the Freestyle" Massage. 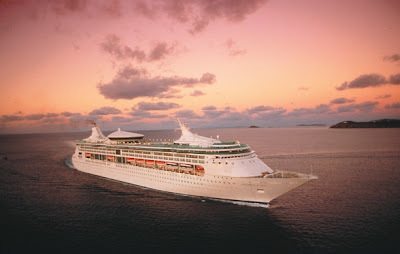 Royal Caribbean International has announced their 2011-2012 Summer Europe and Transatlantic deployment schedule. 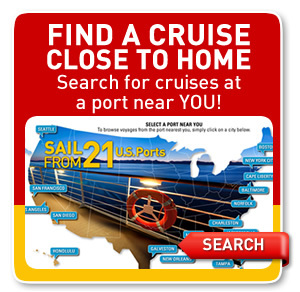 In keeping with the trend that we are seeing, there are several options for cruising to Europe. The demand for European cruises is strong and the cruise lines have all responded. 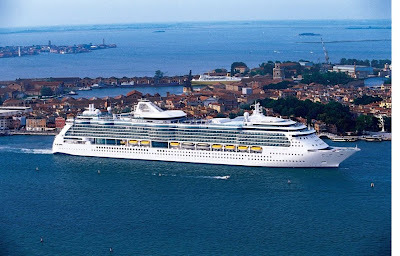 Royal Caribbean has announced that the following 9 ships will be deployed in Europe in 2011-12 Season. We will take a detailed look at each ship in future posts. This post will be updated with links to the related blog posts. As you can see from the schedule, cruises range from 3-nights to 15-nights which should make it possible for more people to include Europe in their vacation plans for 2011-12. October, 2009 we were in Freeport Bahamas, on our annual conference cruise, the same time Carnival Ecstasy was getting a major makeover. The multi-million-dollar refurbishment included the addition of an expansive new water park, an exclusive adults-only retreat, a Circle “C” facility for 12- to 14-year olds, and a redesigned resort-style main pool area. Additionally, 98 balconies were added to existing ocean view staterooms. All of the ship’s 1,026 staterooms were upgraded with new plasma screen TVs as well as updated wall coverings, tile work, carpeting and light fixtures. Many additional cosmetic improvements were made in the public areas. 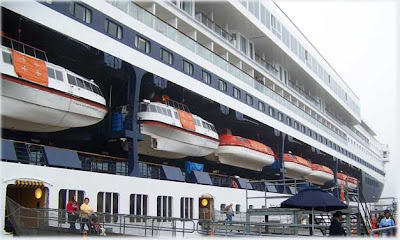 Carnival Ecstasy was the second ship to have additional balconies added following the success of a similar implementation on the Carnival Sensation earlier in 2009. This continues a series of major upgrades to the line’s eight Fantasy-class vessels sparking new life into those ships. 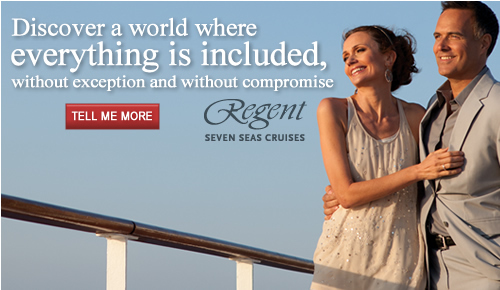 My favorite improvement is Serenity SM, an adults-only retreat, located aft on Promenade Deck. With design elements that include teak decking, large umbrellas and thatched roofing, Serenity provides an ocean-going oasis for relaxation and comfort. Guests can enjoy icy cocktails and frozen drinks while relaxing in plush chaise lounges and chairs. Food service is available in the casual Panorama Bar & Grill located nearby. A signature element of the Fantasy-class upgrades is Carnival WaterWorks SM, a fun-filled aqua park located on Verandah Deck. Designed with an all-ages appeal, WaterWorks encompasses a 300-foot-long twisting, turning water slide – the longest and most elaborate at sea – along with dual-lane 82-foot-long racing slides, and a wide variety of water spray toys. In addition, Carnival Ecstasy’s main pool on Lido Deck – which includes a swimming pool and two large whirlpools – was totally transformed to feature a distinct resort-style ambiance. Vibrant oversized umbrellas, thatched roofing and colorful tile work creates a decidedly tropical feel. The addition of a new Circle “C” SM center, located on Atlantic Deck 8, is aimed at the 12- to 14-year-old set. The facility includes plasma screen televisions displaying movies and music videos, a high-tech sound and lighting system, gaming consoles and a touch-screen jukebox. 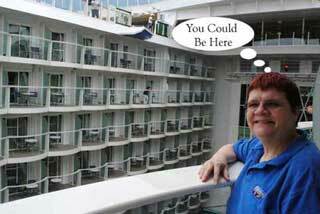 This is a great place to hang out with newly found friends during the cruise. The Carnival Glory received the following enhancements upon completion of dry dock in mid February; Serenity SM adult only retreat, Carnival's Seaside Theater®, Circle “C”SM youth program for ages 12 to 14, 18 more balcony staterooms, “Your Time Dining” on the upper level of the forward dining room, a new Mongolian Wok in the Lido area and Wi-Fi from bow to stern. The Carnival Freedom emerged from dry dock in December 2009 with the following updates; Serenity (a first for Carnival Conquest class,) Circle “C”SM youth program, 18 new Balcony staterooms and “Your Time Dining” in the forward dining room. Carnival Cruise Line continues to invest in improving the product it offers to the general public. I'm sure you'll agree that these changes greatly enhance the cruise experience. While these ships aren't new, the changes make one feel like they are on a new ship. Learn more about the Carnival "Fun Ships". Norwegian Freestyle Cruising is all about choice. When Norwegian EPIC debuts this summer, Norwegian Cruise Line will take Freestyle Dining to a new level. 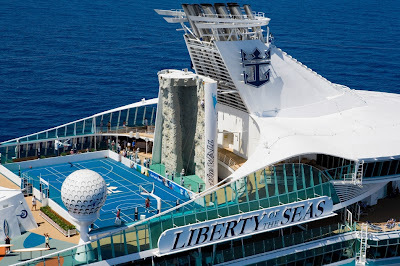 It was announced that the ship will feature an extensive number of complimentary Freestyle dining options - 11 out of 21 total - that are included in the cruise fare. The additional 10 dining options will have a nominal cover charge. Our first introduction to Freestyle Dining was on Norwegian Sun's inaugural voyage in September, 2001. That was the first Norwegian Cruise Line ship that was actually designed for the emerging Freestyle Dining program. In the decade since, the line continued to evolve the program, adding choices and making the program easier for guests to decide when and what to eat. What is Freestyle Dining? Simply put, it's no set dining times, no assigned tables, a relaxed dress code and more restaurants than days in the week on every ship, so you can enjoy whatever you're hungry for, whenever you're hungry. Norwegian Cruise Line expanded the restaurant choices on all ships to include everything from tapas to teppanyaki. Your selection ranged from as many as nine (now 11) fantastic dining options included in your cruise fare to a savory array of specialty restaurants created for those extra-special nights out. What are you hungry for? In addition, Norwegian also announced the cover charges for Norwegian Epic’s specialty dining and entertainment venues (the choice is up to you - the most expensive is $25 per person unless you get really hungry at one of the al a carte choices). · Pizza delivery, $5, available 24 hours around the ship. We are happy to see some of our favorites, like Cagney's Steakhouse and Teppanyaki, and are excited with the new choices such as Cirque Dreams & Dinner. 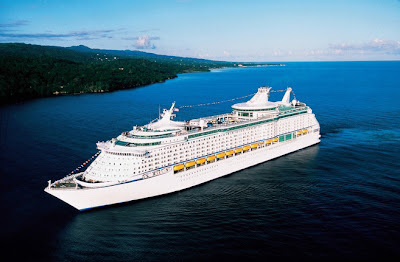 Due to an outbreak of a a gastrointestinal illness, thought to be a Norovirus, during the last sailing of Celebrity Mercury, the Centers for Disease Control (CDC) has advised Celebrity Cruises to perform extensive and thorough sanitizing onboard the ship and within the cruise terminal at the Port of Charleston. These measures are being taken to help prevent any illness from affecting the next sailing. More information about Norovirus and its prevention is contained in the International Travel tab above which discusses travel documents, health and safety. The CDC operates a Vessel Sanitation Program for the prevention and control of the spread of gastrointestinal (GI) illnesses on cruise ships. While Noroviruses are most often reported in a cruise ship setting, they can occur in nursing homes, restaurants, catered events, hotels, as well as any small area where a number of people are gathered - not just on cruise ships. The sad thing is, this illness CAN BE PREVENTED. Cruise ships have taken extensive measures, especially since the start of the H1N1 outbreak last year, to increase the number of sanitizer containers throughout the ship. I'm always amazed at how many people walk past the sanitizers without using them, or how many people don't WASH THEIR HANDS after going to the restroom. This is how the disease is spread. Seating in the cruise terminal at the Port of Charleston is very limited. Therefore, Celebrity Cruises is asking that guests scheduled to depart on this sailing not arrive at the pier on Sunday before 4:00 p.m.. Celebrity apologizes for the inconvenience. St. Patrick's Day is celebrated on March 17, his religious feast day and the anniversary of his death in the fifth century. 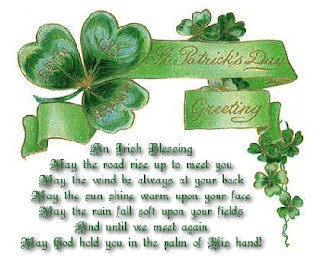 The Irish have observed this day as a religious holiday for over a thousand years. On St. Patrick's Day, which falls in the middle of the Christian Lenten season, Irish families would go to church in the morning and celebrate in the afternoon. The Irish would dance, drink and feast on the traditional Irish Bacon and Cabbage. Lenten regulations about not eating meat were waived if necessary so that the traditional meal could be eaten. Pictured above are two well-known attractions that can be visited in a day trip while docked in Cobh (Cork), Ireland. Blarney Castle, which was constructed over 600 years ago, is most widely known for the Blarney Stone. Legend has it that if you kiss the stone, you'll never be lost for words. Each year visitors climb to the top to reach the stone and hang by their feet to kiss it. The picture on the right is of Charles Fort in Kinsale, Ireland. This 17th Century fort, which protected Kinsale, is one of the last remaining examples of a star-shaped fortress. The Irish countryside is beautiful, the towns are quaint, and the people are very friendly. It is a great place to visit. Cruises to the British Isles stop at one or more Irish ports. June is a great time to visit Ireland. The weather is usually mild and you'll be comfortable in a light jacket on the cooler days. Plan your Summer British Isles cruise and be sure it stops in Ireland. Special St. Patrick's Day savings event starts March 17th. Combining 170 years of experience with the youngest, luxury fleet at sea - flagship Queen Mary 2, Queen Victoria and the soon-to-be-launched Queen Elizabeth - Cunard is pleased to announce its most extensive range of voyages to date, with a greater choice of itineraries, departure dates and overnight stays. Guests will have more opportunities to experience the new golden age of ocean travel with the classic traditions and legendary White Star Service for which Cunard is renowned. 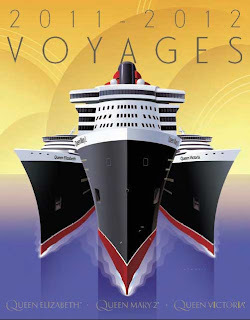 The line's flagship, Queen Mary 2, will continue to offer extended Transatlantic Crossings between New York and Southampton, as well as to Hamburg; Queen Victoria will journey across the Atlantic for a second Americas season in early 2012; and new to the voyage schedule will be visits to the Holy Land aboard both Queen Victoria and the new Queen Elizabeth. • 21 Transatlantic Crossings, plus extended voyages to and from Hamburg and five Grand Voyages roundtrip from New York. 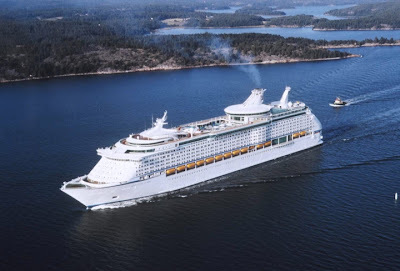 • Seven explorations of Northern Europe and an Around the British Isles voyage - all sailing roundtrip from Southampton. • Two voyages to the Atlantic Isles and Iberia. • Enhanced 10-day Canada and New England sailing in the fall now featuring an overnight in Quebec, and a Fourth of July Getaway. 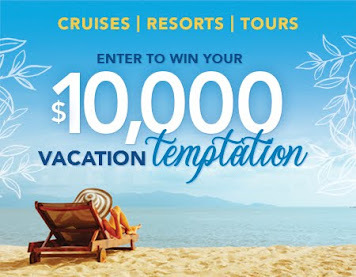 • Caribbean Celebration holiday voyage. 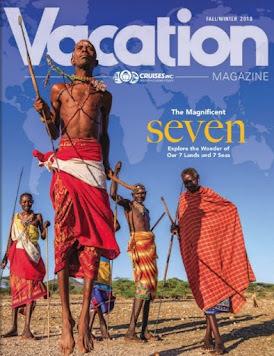 • Five spectacular voyages based in the Mediterranean and visiting the best of the region including the Black Sea, Greek Isles, Egypt, and - new for 2011 - the Holy Land. • Enhanced Northern Europe itineraries including overnight stays in St. Petersburg and a new Gallic Overture voyage. 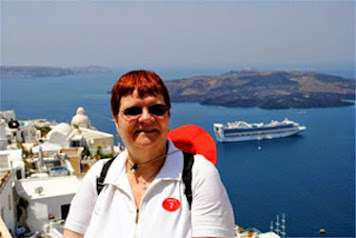 • The celebrated QUEEN returns for her second Americas season in winter 2011/2012 including Panama Canal and Hawaii itineraries. • Med, Canary Islands and Atlantic Isles roundtrip from Southampton are also available. • New for 2011, a Voyage to the Holy Land, plus four Mediterranean voyages roundtrip from Southampton. 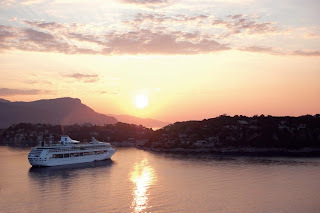 • Northern Europe itineraries include the Norwegian Fjords, the North Cape and two enhanced Baltic sailings that feature a full day and an overnight call in St Petersburg. • Maiden Around the British Isles voyage. • Two Iberian journeys and a Canary Islands voyage sailing roundtrip from Southampton.